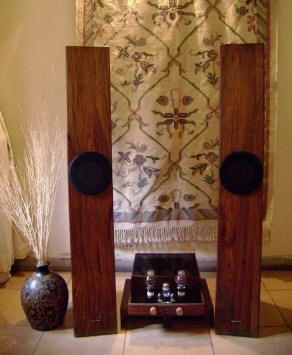 - Stereo integrated amplifier, offering superb reproduction of music. 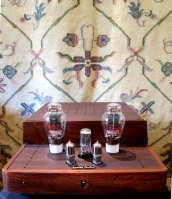 - Single-ended triode (SET) tube amplifier, using the 2A3 directly heated triode (DHT). - Point to point wiring. - Custom interstage and output transformers. - Choke filtered power supply. - Naturally finished solid sheesham cabinet. 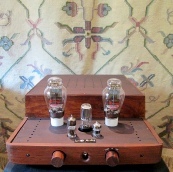 - Single-ended tube amplifier, using the GM70 directly heated triode. - Solid-state and tube rectification. 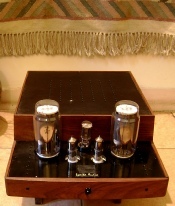 - Stereo power amplifier, offering superb reproduction of music. - Single-ended design, two gain stages. - Single channel power amplifier, higher power output. - Single-ended design, two gain stages, high voltage operation. - Two way, using professional drivers. - High sensitivity and power handling. - Excellent clarity and tonal richness. - Enhanced sense of dynamics and scale. 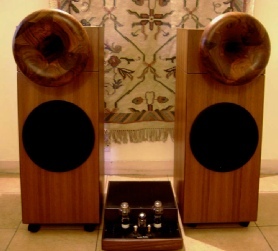 - Solid teak LeCleach horn, teak veneer cabinet. - Single, one way, full range. - Tapered pipe, quarter wavelength transmission line design. - Solid sheesham wood cabinet, optional. 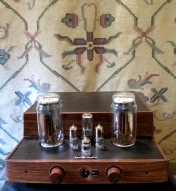 - Stereo line level tube preamplifier, superb sound. - Using the 4P1L DHT, in triode mode. 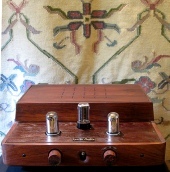 - Custom output transformers, optional. 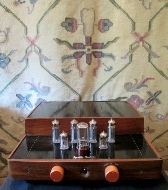 - Three line inputs, one phono input for MM and high level MC cartridges. 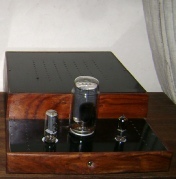 - Dedicated tube phono preamplifier. 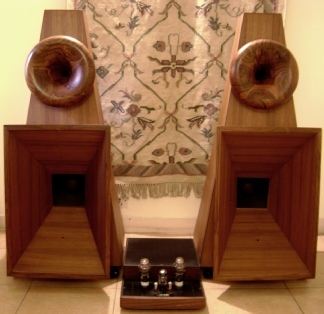 - Phono input for MM and high level MC cartridges. - Optional stepup transformers for low level MC cartridges. 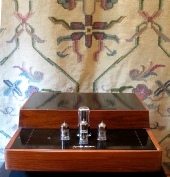 - Phono input for low level MC cartridges. - High gain, using FET input. - Push pull design, using the pentode EL83.